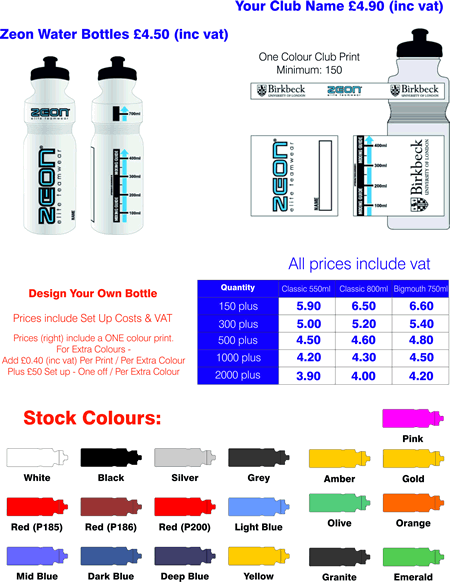 ZEON Water Bottles are perfect for all sports. This item can be customised with your club badge. The prices are listed on the graphic.